Flying downwind with the Malolos (Flying Fish). My perspective of the ocean has been changed completely. SUP Hydro foiling downwind is the future! A huge thanks to Alex Aguera at Go Foil, and Naish for making this dream a reality. From the award-winning director, Johnny DeCesare & Poor Boyz Productions comes a progressive film that will change the way you think about Stand-Up Paddling. Follow Kai Lenny and the best Stand-UP Paddlers paired with leading action sports cinematographers as they travel the globe chasing perfect waves as well as capturing unique perspectives from all facets of this growing sport. Filmed on location in: Maui, Mexico, Fiji, California, Europe, Nicaragua, Maldives & elsewhere. The special guests of the evening will be kids from The Boys & Girls Club of Maui. STARRING: Kai Lenny, Laird Hamilton, Noa Ginella, Kody Kerbox, Zane Schweitzer, Connor Baxter, Sean Pointer, Izzi Gomez, Lori Park & more. 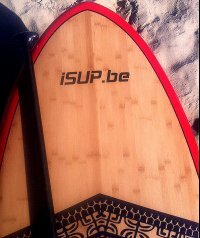 Kai Lenny vertelt ons waarom Stand Up Paddle OK is! The Maui waterman muses on life with the oar and its acceptability in surf culture. Jaws, Peahi, Maui, six in the morning. Dawn just broke and with it, a lump appears on the grey-blue mist of the Pacific Ocean. Heartbeats soar, lenses focus. The bump becomes a wall and the wall becomes a wave. Of the few surfers in the water on this doomy Tuesday morn, one man seems to want the XXL wave the most. He’s on a strange, almost cumbersome watercraft and is sitting deeper than the pack. He paddles into the wave — literally, as in with a paddle — gets barrelled and makes it. The coffee crowd erupts. That man is named Kai Lenny and his watercraft is a stand up paddleboard. When the boat-like behemoths first became popular, “core” surfers scoffed. And their scoffing had some merit. Stand up paddleboards seemed to spark the interest of the non-surfing crowd. Think: the type of people who go skiing in the Alps for vacation. As they grew in popularity, once quiet beachbreaks became busy and bustling with danger — you think giving an inexperienced surfer a 12-foot board is a good idea? And so the SUP got the reputation of being kooky, the tool of the tools who could never thrive as a real surfer. But did you just see Kai’s wave? Kai’s 22 years old, born and raised on Maui. Or better yet, he was born on Maui and raised in the ocean. He could swim since he could walk and the ocean has always been his playground. He surfs, fishes, kiteboards, etc. And though he’s one of Maui’s best on a traditional surfboard, Kai has become one of the best stand up paddlers in the world. He can huck the tail around like Julian Wilson and, obviously, will go on waves that would intimidate the most hard-nosed surfers in the world. He is an anomaly. And here’s what that anomaly thinks about the world of SUP. They’re both really fun. Often times, I’ll start out catching a few waves on my regular surfboard and then switch to the stand up. On the stand up, you can see the wave a lot earlier than everyone else and you’re obviously already on your feet. It’s easier, so it’s good to show people that you can surf too. It’s cool because the first time I took a stand up out there was in 2010, when only a tiny crew of guys were surfing it. So I know most of the guys out there already and they’re all my friends. I feel really at home at Jaws no matter what I’m riding. Still, I stay super respectful on my SUP and if someone is in a good spot, I’ll let them go. And everyone has been more supportive of me out there. Last swell, guys were actually telling me to go get my SUP cause they wanted to see me get a few on it. It’s rare, especially in bigger waves. But sometimes in smaller waves, people give you eyes or lip about it. Whenever they do, I go in and grab my shortboard. And it’s really funny because I catch way more waves on a surfboard anyway. I think the disdain for SUPs stems from the fact that they make it easier for some people to catch waves that are beyond their ability level. And you might hear a story about somebody making a mistake with one and it’s a really big board to make a mistake with. It’s definitely a “The person is more dangerous than the gun” scenario. I think stand ups are a really good way to improve your surfing. All the best young surfers on Maui are SUPing now. It helps you learn how to use the rail, draw different lines and become more patient on a wave. And when you hop back on a shortboard, you feel so loose and powerful. So why not? Pack your bags, pop your ears and join Team Naish on a trip across the world to Abu Dhabi! Let your imagination run wild as the boys take surfing to the next level, one perfect wave after another, at the Abu Dhabi All Stars Grand Slam competition at Wadi Adventure’s wave pool. Push your assumptions aside and see just how exciting crystal clear water can be in a city surrounded by the desert! Kai Lennny geeft enkele tips hoe je het beste resultaat kan halen uit uw GoPro tijdens het filmen van een SUP sessie. Best barrel ever on a SUP ???? Kai Lenny heeft tips hoe je een betere SUPer wordt. Hawaii native Kai Lenny is a beast. A four-time standup paddling world champion and the 2013 standup paddle race world champion, 21-year-old Lenny has been making a name for himself as a true Hawaiian waterman for years. With accolades in big-wave surfing, standup paddling, windsurfing, and kitesurfing, Lenny spends the bulk of his time in action—and in the water. He’s got support from some of the biggest names in his sports with sponsorships from Contour, Naish Surfboards, Red Bull, Vertra Sunscreen, Turtle Bay Resort, and Oxbow. Not surprisingly, he trains like a madman, picking up at least one of his boards on an almost daily basis. Because Lenny is always working to increase his fitness, strength, and stamina for whichever type of competition he has on the horizon, he’s got a workout regimen typical of any elite athlete. GrindTV recently caught up with him to find out how he approaches his training, diet, and even the types of music he likes to listen to when he trains. And while much of his training may not be directly translatable to most of us, his approach to life and fun is awe-inspiring. In his own words, here is some of what he had to say. How do you approach your training? I am a huge fan of training hard and smart as I want to eliminate any doubt in my mind about being prepared for a competition or a challenge.I also have reached a point in my physical being that I want to raise my fitness to the highest benchmark that my mind and body will allow. For me, training is really fun, as my gym is the entire island of Maui. I work out in a physical gym three times a week and also on the beach doing runs in soft sand along with other exercises during the run. I also spend so much time on the water surfing, windsurfing, kitesurfing, standup paddling, canoe surfing—you name it. I do it all depending on what Mother Nature dishes out for the day. This is the presentation of our new SPRINT fin model developed together with Kai Lenny. After winning the Battle of the Paddle on September 30th 2013 in Dana Point, Kai won the final race of the year in Turtle Bay, on the North Shore of Oahu. Kai Lenny and MFC HAWAII are 2013 World Champion.